Ever since Microsoft launched Office 2007 the trend has undoubtedly shifted from the traditional interface employing menus and toolbars, to the “new and improved” ribbon. Users of vanilla AutoCAD got ribbonized with last year’s 2009 release. While a classic workspace was still shipped with the product, the ribbon was an integral part of the default workspace. On the other hand, Civil 3D users got a stay of ribbonization in the 2009 release, but 2010 is a whole different story. 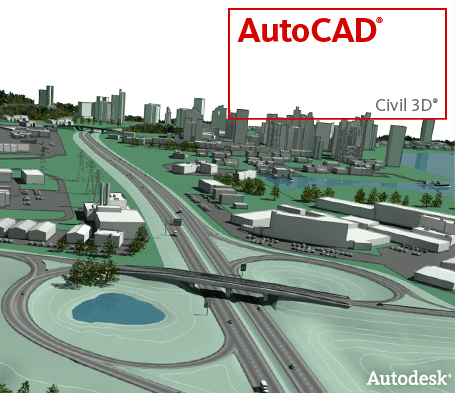 You guessed it; the 2010 release of AutoCAD Civil 3D has been ribbonized! Many of you have probably launched “AutoCAD Civil 3D 2009 as AutoCAD” at least once since installing it. Under that configuration, you got the full ribbon experience! If you were like me, you took a look at it, thought eh’ that is cool, and proceeded to change back to the AutoCAD Classic workspace. Here’s the deal, the ribbon in 2009 was cool, but not overly useful (in my own opinion). I personally felt Autodesk ribbonized AutoCAD just so they could be like every other software manufacturer, following in the footsteps of Microsoft. To be fair, I can certainly see how the Ribbon might help someone first learning AutoCAD.